Sorry, we are currently sold out of 'Rusty's Hawaiian Kenya-Style Typica'. Please check back later. Last year we visited Rusty's in Ka'u. After taking a wonderful drive south from the Kona coffee belt we passed through a variety of micro climates and dramatic views of the lava rich landscape which poured down to the ocean. The farm is owned by Lori Obra, daughter Joan and her husband Ralph. Ralph took us to their plot of growing land, formerly a sugar plantation that has been converted to coffee. Processing is done back at the house where Lori has a Penagos micromill in her backyard and drying tables in the front yard. The coffee is delicious and, with productions issues taking place in the Kona part of the island, but not here, we decided to take a considerably larger quantity of Rusty's coffee this year and alternate it with Kona as the season and quality dictate. With prices skyrocketing in neighboring Kona, Rusty's price seems very fair. We have offered this coffee in the past and it has a dedicated fan base. Joan and Ralph, a terrific young couple who manage the affairs of the farm, came east and visited with us several timesr; we enjoyed a great time and delightful dinner and look forward to seeing them again soon. Rusty's Hawaiian Coffee has been attracting a lot of attention from coffee cogniscenti and for good reason. They have taken Hawaiian grown and processed coffee to a whole new level. They are a company with extreme quality standards and they are also very experimental, pushing the envelope with processing techniques and varietals uncommon to the region. The experimentation, combined with a pursuit of excellence, has provided them with several significant awards as well as very high scores in reviews. 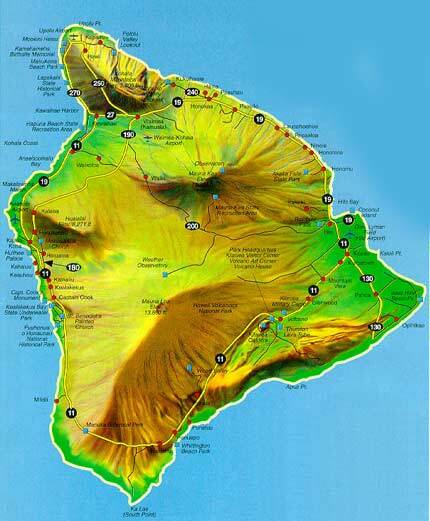 Their farm and mills are located in the rural Ka'u region, located on the south side of the Big Island. They grow and process their own cherry but also coffee from other local members of the Ka'u Coffee Growers Cooperative, a group of 30 Ka'u farms. Rusty's was originally purchased by Rusty and Lorie Obra as a retirement venture; they came from New Jersey, both with scientific and technical background. In 1999, they planted Arabica coffee varietals such as Bourbon, Guatemala Typica, Red Caturra and Yellow Caturra. At 2,000 feet above sea level, the trees thrive in rich soil, morning sunshine, afternoon mists and cool nights. Because of their science background, the two ran the farm like a laboratory. They tested different processing methods and roasts, looking for ones that would bring out the best flavors in Ka'u coffee. They worked the farm together until Rusty died in 2006, leaving Lorie with a decision of whether to continue their efforts without him. Shortly thereafter, Miguel Meza, who had been making great strides as coffee roaster in the midwest, joined Lorie on the farm. He perceived the potential for Ka'u coffee that was there for the unlocking, and with Lorie the pursuit went forward once more. Winner of Specialty Coffee Association of Europe's 2010 Outstanding Producer Award. Winner of the Hawaiian Coffee Association's 2011 and 2010 Cupping Competition. Coffee Review scores, multiple times, in the 92 to 95 point range. Rusty's coffee was used by the winner of the 2011 United States Barista Champion; also used for 2nd place winner in the 2011 World Barista Championship. We have offered other coffee from Rusty's these past few years. Their Red Caturra Natural earned us a 94 point rating in Coffee Review, one of the highest of the year. That was a very powerful cup, striking mainly because of the dry processing method which dries the whole cherry. This Kenya Style Typica is different. The objective here is to reproduce the processing method usually done in Kenya. With this method the coffee is wet processed, fermented, partially dried, then washed again and finally dried in the sun on raised, screened platforms often referred to as African drying beds. Guatemala Typica are the prized, classic coffee trees that are widely planted in the Hawaii's top growing regions, here and in Kona. Rusty's spent more than two years experimenting and refining this varietal and processing combination. This is an extremely limited offering. Only the smallest amount of this coffee was produced. You will be one of the very few people to taste this unusual coffee. Processing: Double fermented, soaked in cold water after rinsing. Screen dried. Cup Characteristics: A very clean, smooth bodied cup with lively, fruity flavors and a long, winey finish. Tart, dry citric acidity. Exotic. Elegant style coffee with notes of raspberry and chocolate. Complex, luscious. Roasting notes: Because of the bean size and moisture content this coffee will need considerable heat to develop the roast. If roasting on a Behmor, try P2 first, and perhaps P1. As for roast development, roast up to FC but there are fans of darker roasts of this type of coffee, though we are not among them. Sweetness and floral notes are maximized at lighter levels. At darker levels the roast itself dominates.